Nashville has only been gone for five months and suddenly everyone is platinum blond. Then, the shock of my life: Will playing basketball with some skinny blond fella — “New boyfriend?” I wonder — and it turns out to be Gunnar! I swear to God, the adventures of Gunnar’s hair deserve their own TV show. Meanwhile, Gunnar isn’t the only one with romantic woes. Will sees Zach (yes, we still have a Zach) with some hunk-of-the-month and gets jealous. Also, the episode is kind of making it seem like Zach dumped Will, but I thought it was the other way around? Anyway, Will and Gunnar compare notes on their broken hearts, while spending lots of time together. Hey, they’re both single! And sharing emotional stuff! And they really get each other … but I’m ahead of myself. Then, it’s New Year’s Eve and Gunnar gets on stage. He starts to sing but panics and forgets the words. From the back of the theater, Will rushes onto stage to rescue him. They sing a perfect duet. Then it’s almost midnight. 10, 9, 8, 7, 6, 5, 4, 3, 2, 1 … and they … don’t kiss. But they should’ve, man! It was a really good rom-com up until that point. Over at Chez Claybourne, the gang poses for a late Christmas photo in front of the tree. Maddie, Daphne, and Scarlett all wear matching red frocks and Deacon wears … the same flannel shirt he always wears. Deacon is excited about spending New Year’s Eve together as a family, but then Maddie gets invited to perform at MTV’s Hits and Hunger concert. 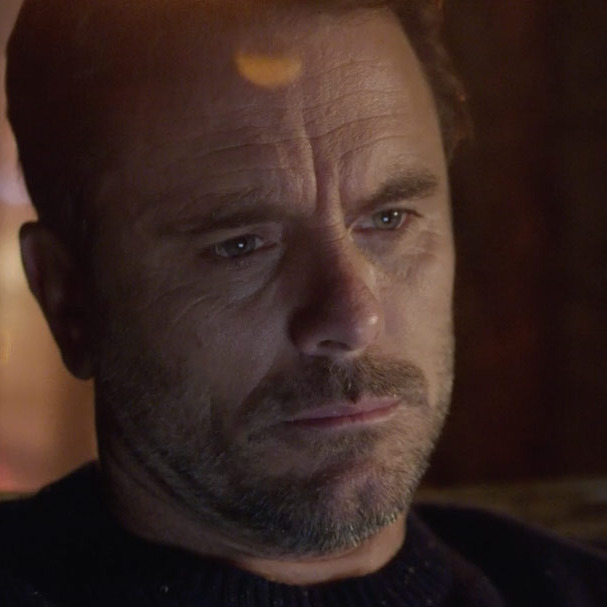 Deacon can’t deny his disappointment, but he encourages her to go and asks Scarlett to chaperone. Daphne and Maddie then have the same conversation they always have. Daphne: Can I come to New York with you? Turns out, Maddie was invited to the concert at the behest of this teen-idol type named Jonah Ford (Nic Luken), who kisses her hand and winks at her (gross) when he brings her up on stage. He’s very mesmerized by her performance and physically shoves members of his entourage away when they try to distract him. After the show, he extends an invitation to watch him record some music in the studio, but when she shows up the next day, he’s not there. Jonah is officially cancelled. Alas, he later turns up at Maddie’s hotel, all contrite with flowers, offering to fly her home on his private jet and take her to dinner. She agrees and then leaves with him. (Scarlett, I believe, was just Daphned.) I’m no Nancy Drew, but I’m getting the sense that this Jonah Ford character is not the best guy. While all this happens, Deacon is moping around the house, reading a Teddy Roosevelt biography while sporting unfashionable reading glasses. Basically, Deacon has turned into your grandpa. He’s very sad about being alone on New Year’s (hello!? Is Daphne chopped liver??) and even ventures onto a dating site called Kissmet, but chickens out before putting up a profile. (Also, I’m confused. Didn’t he almost kiss Jessie last time we saw him? I had resigned myself to them becoming a thing.) It all leads, inevitably, in light out of how thickly they were laying it on, to Deacon being surprised by Maddie, Daphne, and Scarlett with fun hats and noisemakers before midnight. Not completely sure how Maddie got home from her date with Jonah so quickly, but again, I just went with it. I love me some force-fed sentimentality! I briefly toyed with the idea that Darius was a figment of Juliette’s imagination — or some sort of Clarence the Angel–type figure — but he is real. Worse than real, even: We eventually find out that he stalked Juliette to Asheville because he “felt her pain.” Security! Later, she visits him in his gleaming white temple of sorts and he tries to recruit her into his self-help program, which is totally legit and definitely NOT a cult. “Are you a good mother?” he asks her. He asks her to close her eyes and count to ten and really answer the question. Juliette obliges, gets sad, and Hayden Panettiere does her patented Tears on Command routine. (It never fails to impress.) She says she’ll think about his offer. Juliette then decides to straighten the record on the whole Music City Meltdown by going on some radio show. I’m breaking my own rule here — namely, you have to just “go with it” if you want any hope of enjoying the show, otherwise it will drive you slowly mad — but it makes zero sense that she would choose a confrontational, “edgy” DJ to do the interview. She’d pick someone nice and nurturing, like Ellen or Hoda. “Let’s open it up to callers — if there are any Juliette Barnes fans out there,” DJ Resting Bitchface says. Then she announces that she’s postponing her tour. DJ Resting Bitchface isn’t even slightly moved by Juliette’s candor and instead seems enormously pleased to get the scoop on the tour. That night, Juliette calls Darius Enright. “I’m ready,” she says.